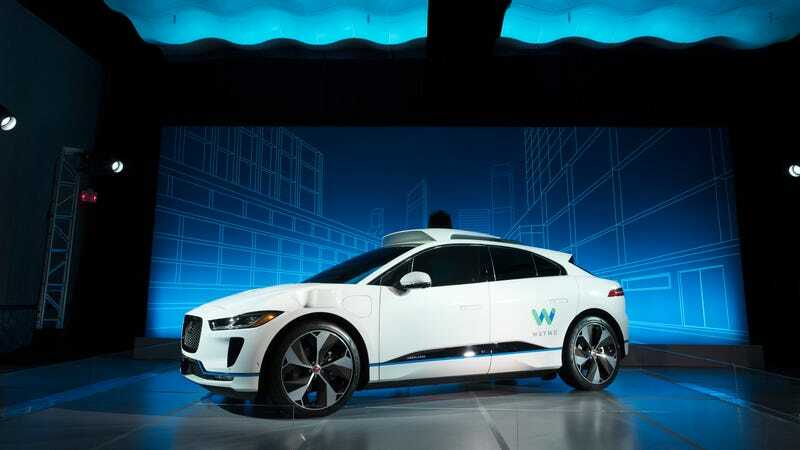 An autonomous Jaguar I-Pace outfitted with Waymo’s technology. If you consider the massive amount of data Google has gathered on the world around you, it might be surprising—maybe reassuring?—to learn the company can’t track down something as simple as a trailer. But that’s indeed the case: Since January, Michigan police have been trying to locate a car hauler stolen from Waymo, the company’s self-driving car unit, and have so far come up dry. In a police report obtained by Jalopnik under a Freedom of Information Act request, Brandon said he spoke to a Waymo vehicle engineering workshop manager who said he last saw the trailer a few days prior in the parking lot on the west side of the building. The manager, whose name is redacted in the report, said he arrived to work Jan. 29 around 7 a.m. and discovered it was missing. The employee told police that CCTV footage existed of the parking lot, and provided paperwork on the vehicle, a nearly 11-foot tall trailer that has no Waymo markings. No proprietary information or cars were in the trailer at the time. Brown said the trailer was entered into the LEIN database as stolen, and reported no suspects were known at the time. To date, the trailer’s a ghost; police have yet to find a suspect. Brown didn’t respond to requests for comment. Waymo declined to comment. Don’t shed a tear too quickly for Waymo. For context, Google and Waymo’s parent company, Alphabet, reported $100 billion in revenue last year. But while people try to solve who’s stealing bicycles that Google provides to company’s employees at its California headquarters, there’s now another question to ask: Who stole the Waymo trailer?